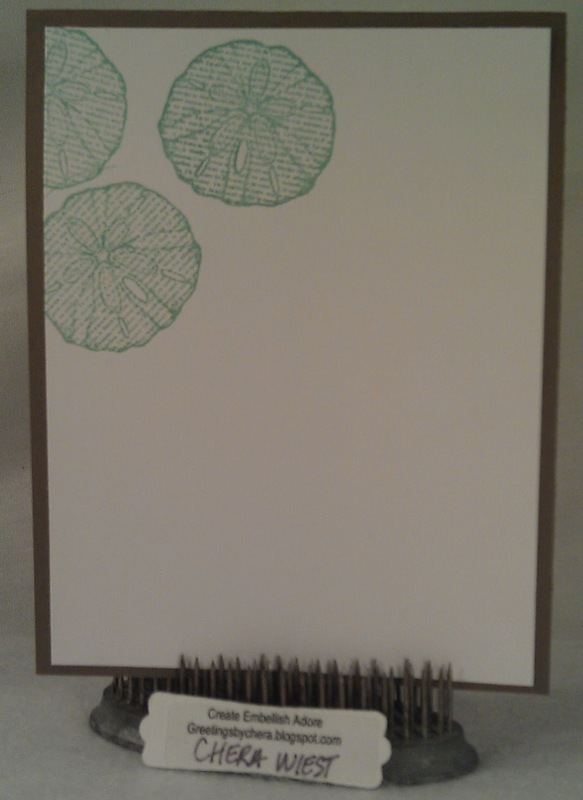 I finally made some time for ME in the craft cave... WAHOOOO!!! 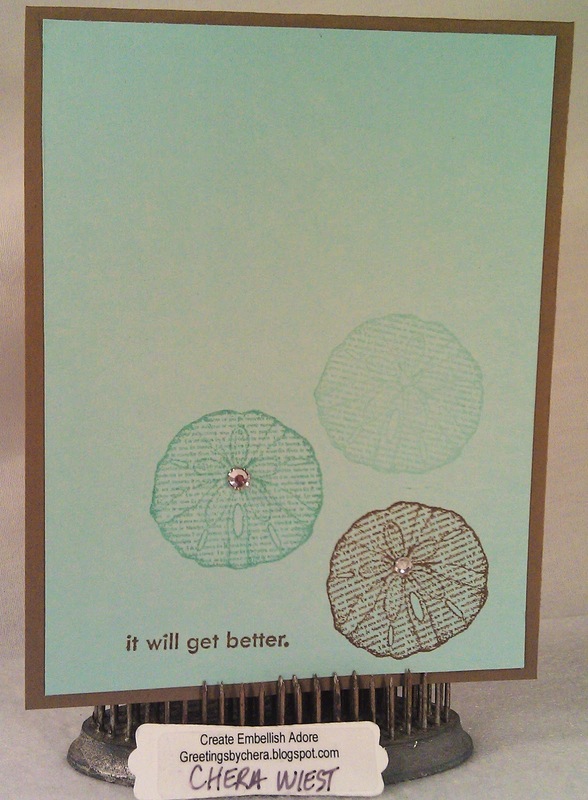 ... unfortunately, I had to make a few sympathy cards. I grabbed the colors from Dynamic Duos and went to work! Since its been a while, I needed a warm up - you can see it at the bottom of the post! The Summer Silhouettes really makes a great sympathy card without any trouble. I used it with Pool Party and Soft Suede, since they were the Duo colors. Here is the inside of the card. Which I reflects almost a duplicate of the front. I very much like this! 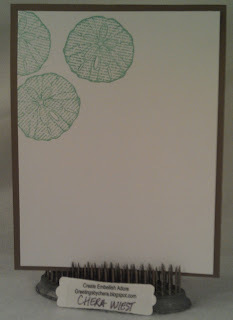 Last, here was my warm up card... 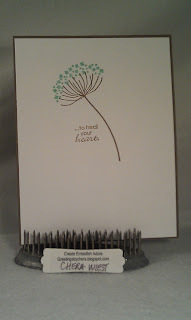 I used the By the Seashore stamp set, with the retired FYI, and put this together too. This card actually is going to a friend of a close friend whose going through some rough times in her life! I just want to send her a HUG!! 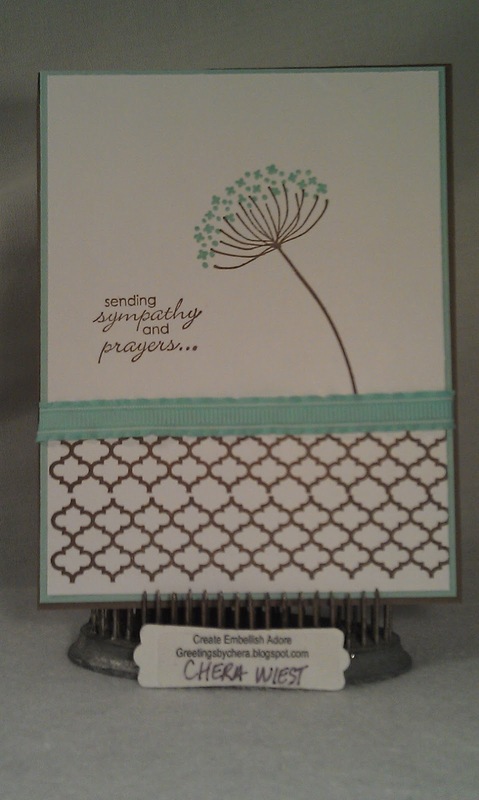 Sympathy cards area the hardest to make, but these turned out to be a wonderful pair. 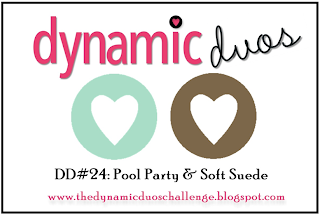 Thanks for playing along with us at Dynamic Duos! beautiful cards, I love that color combination. Both cards are so beautiful and so elegant!